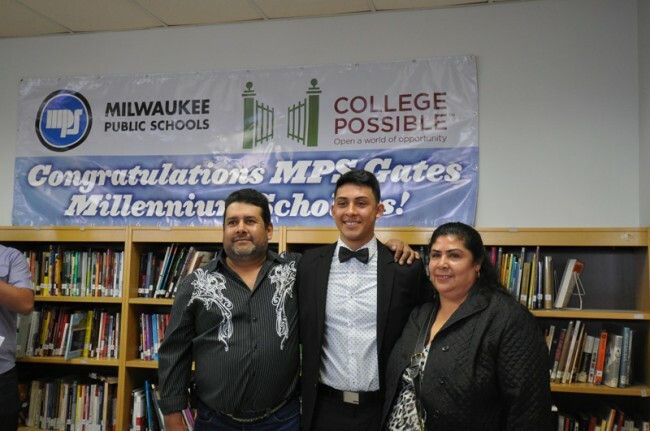 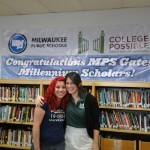 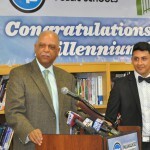 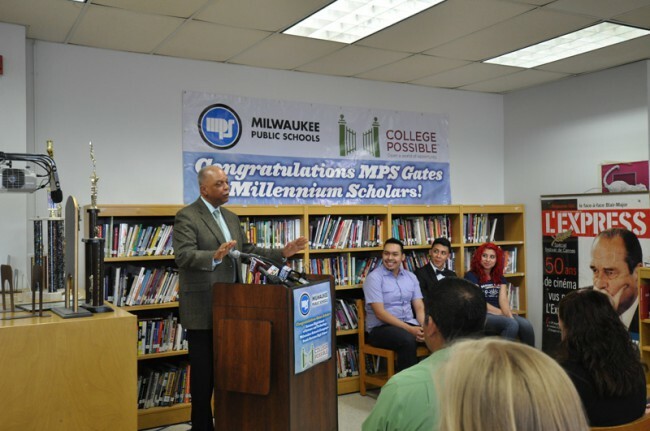 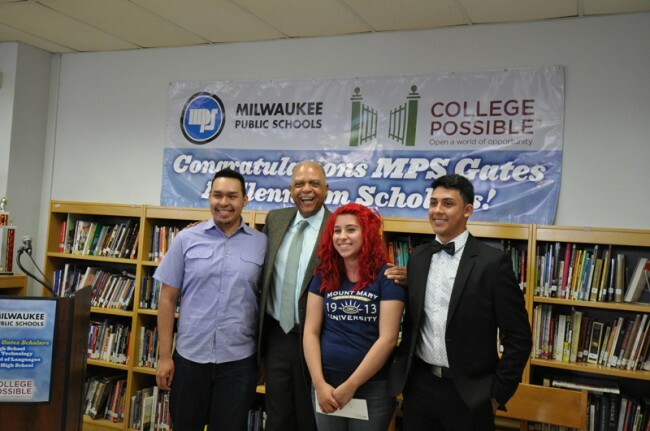 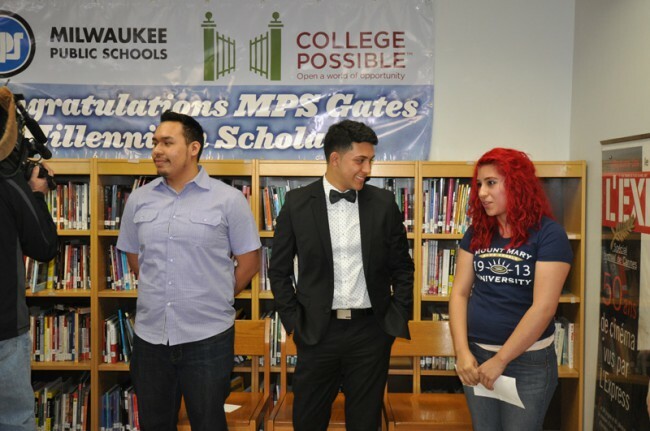 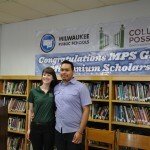 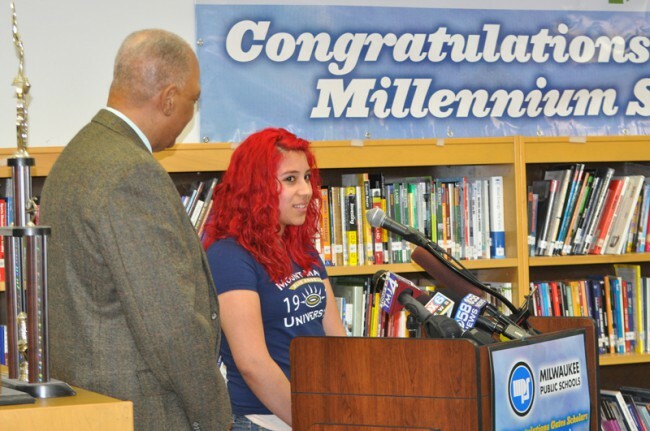 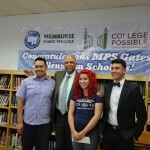 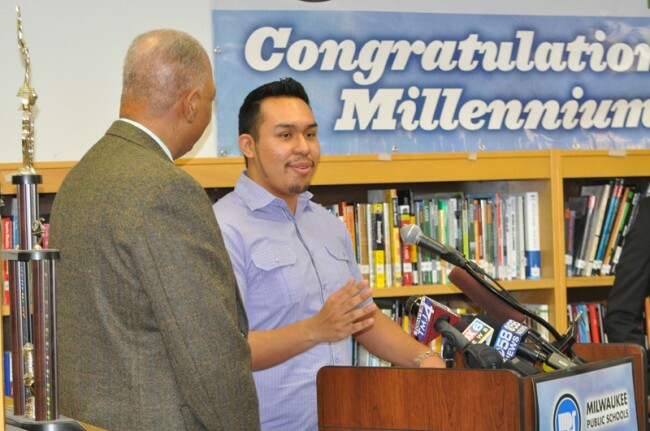 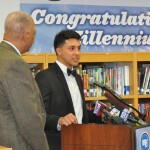 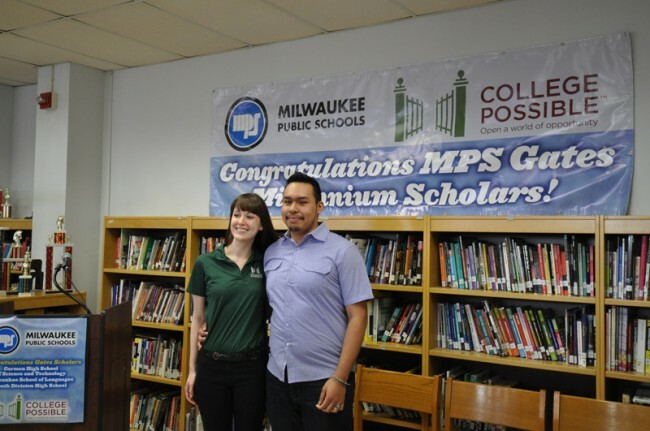 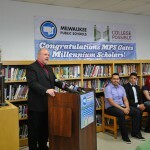 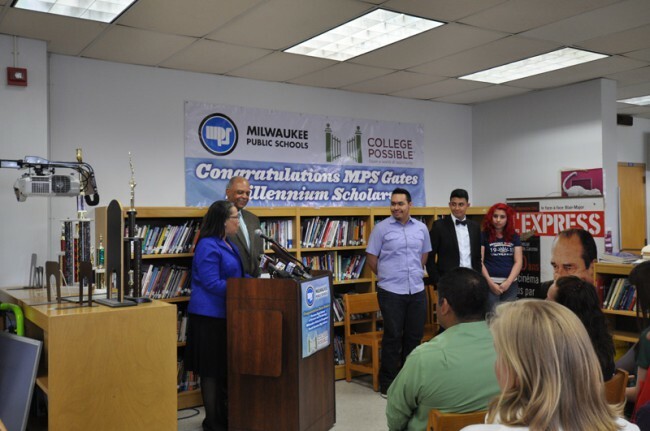 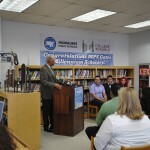 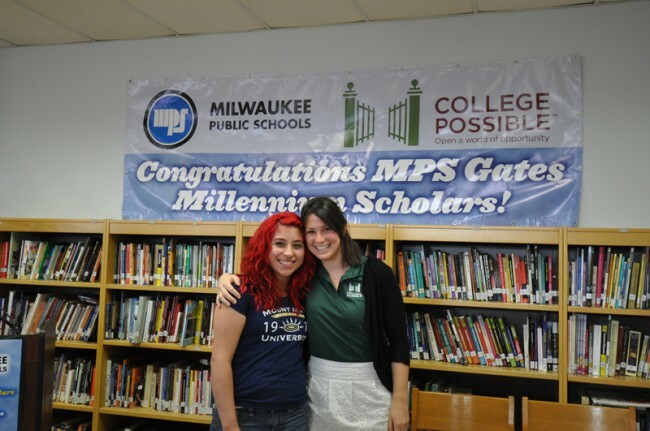 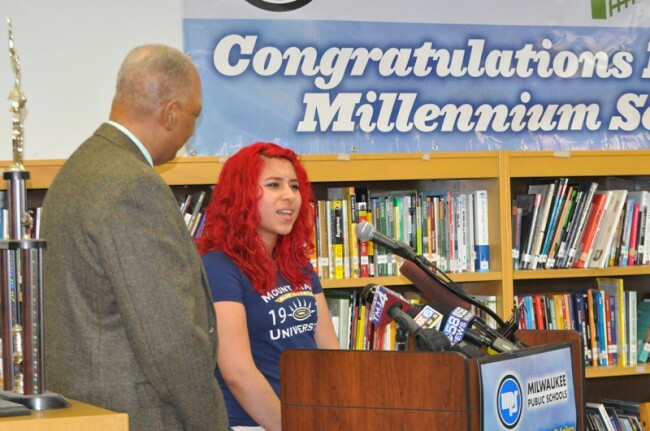 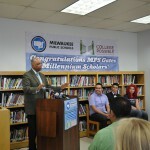 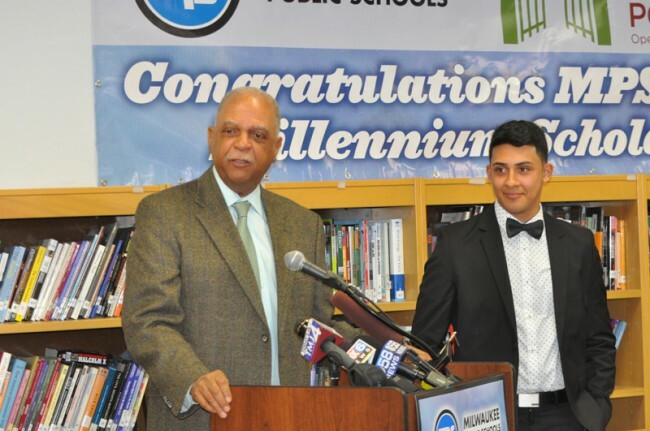 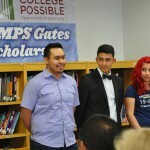 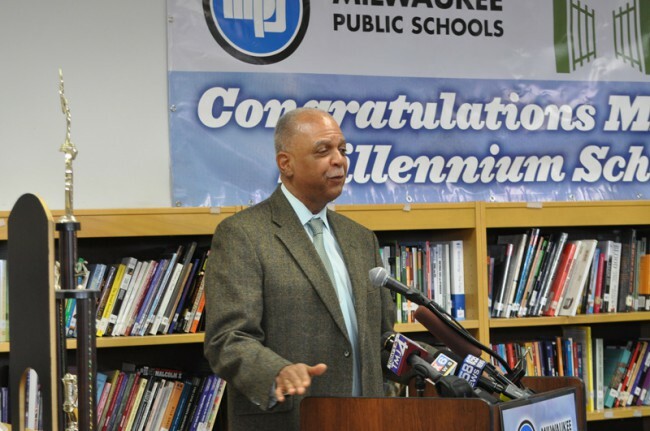 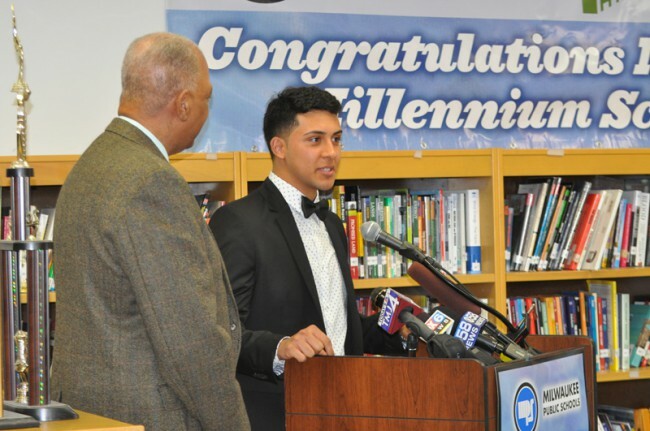 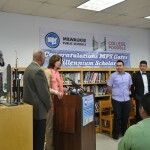 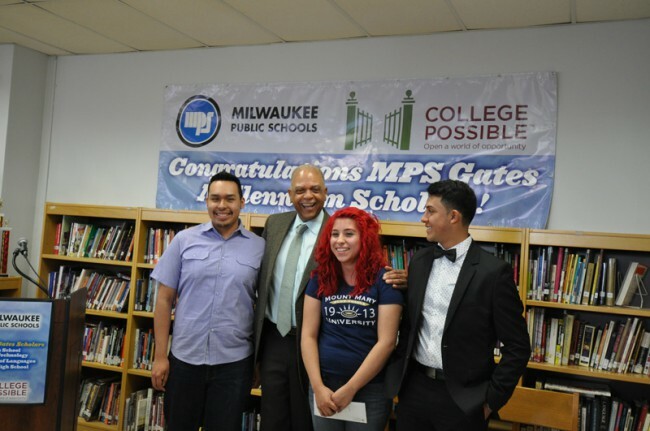 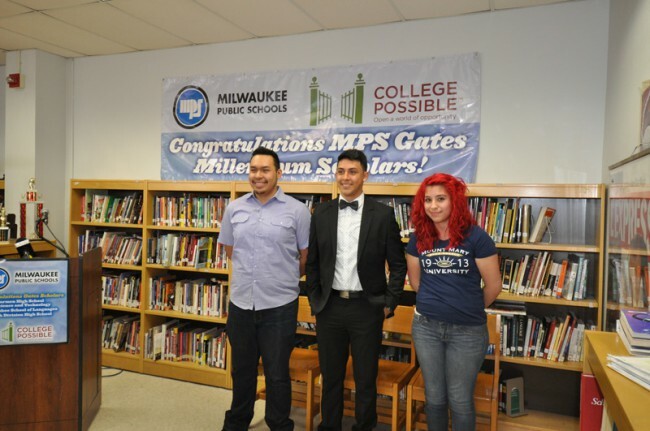 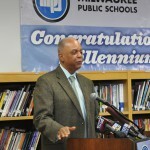 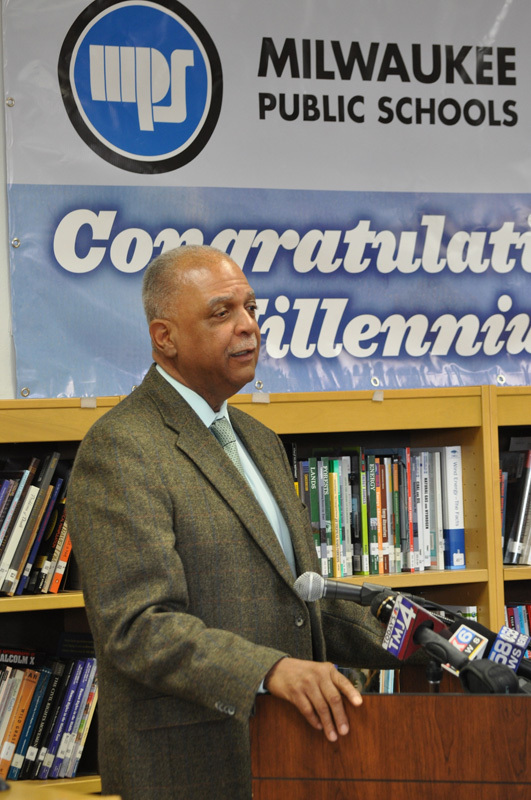 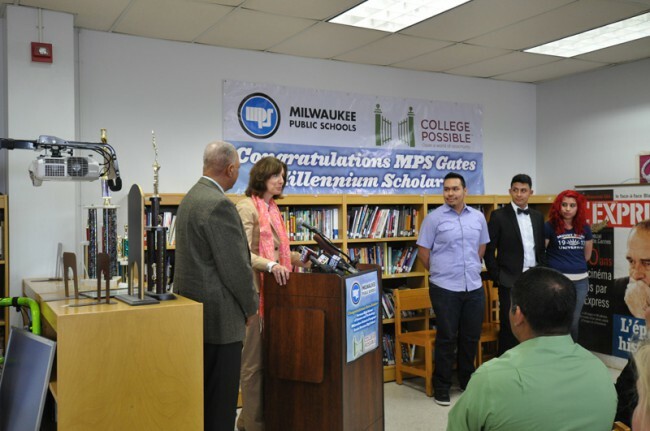 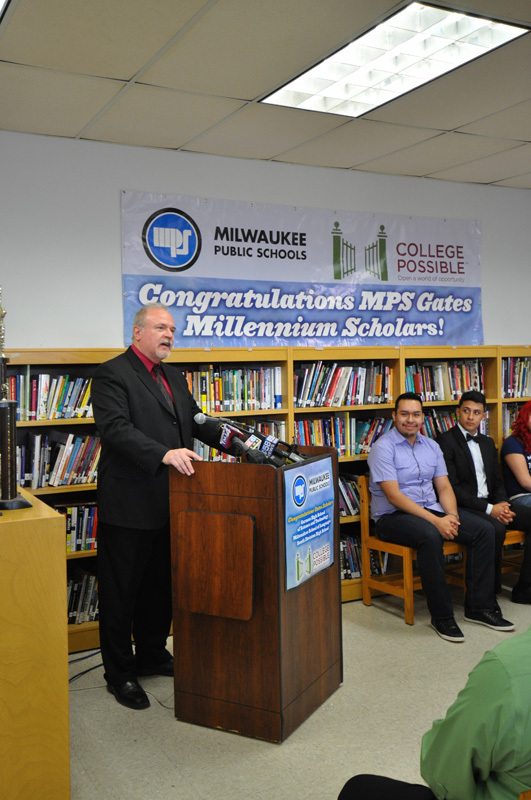 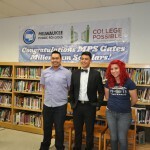 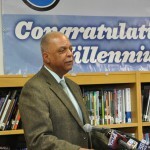 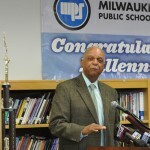 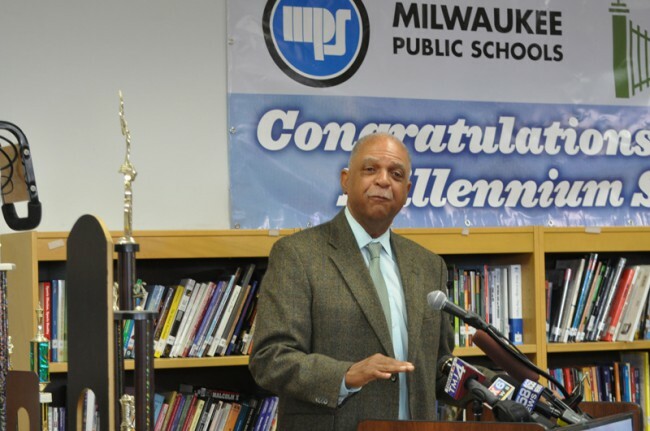 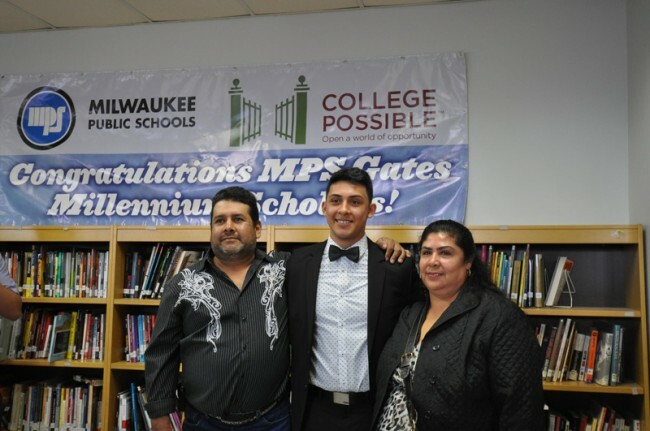 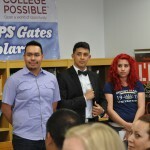 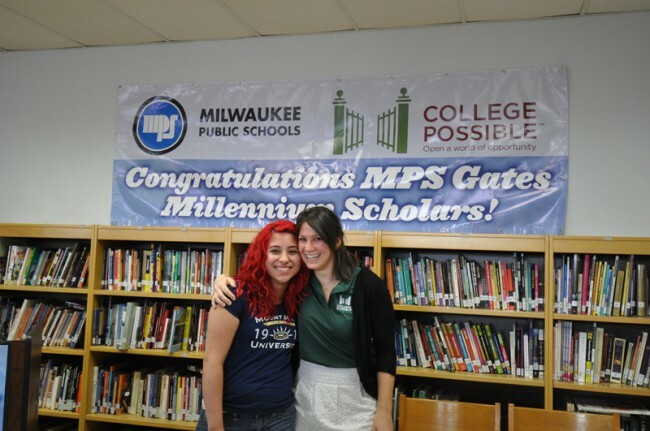 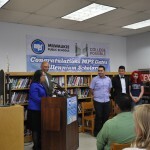 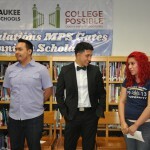 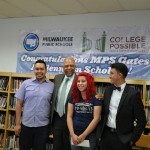 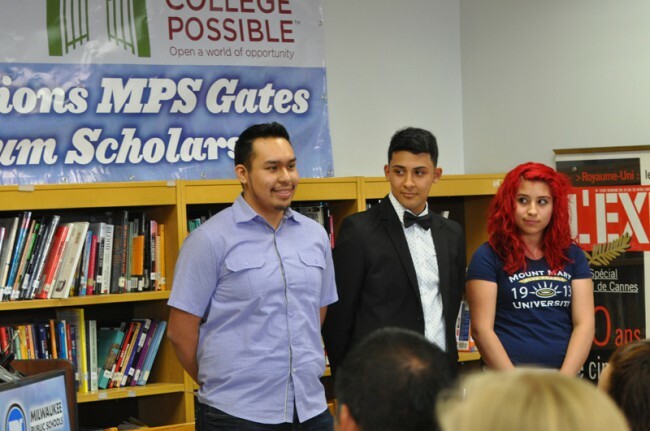 MILWAUKEE – Three Milwaukee Public Schools seniors are among just 1,000 students across the country to be announced Thursday as Gates Millennium Scholars, an honor that comes with a “good-through-graduation” scholarship to the college of each student’s choice covering 100% of unmet need. 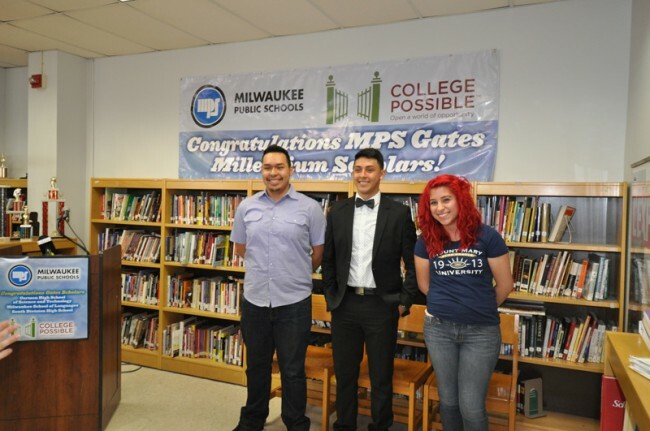 Capistran has been accepted into Alverno College and Mount Mary University; Isidoro has been accepted into the Milwaukee School of Engineering, the University of Minnesota, the University of Wisconsin-Madison and others; and Mandujuano has been accepted into Marquette University and the University of Wisconsin-Madison and is awaiting news from the University of Chicago. 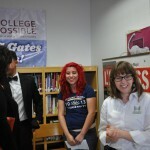 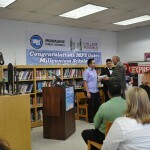 The students were honored May 6 along with representatives of their schools and College Possible. 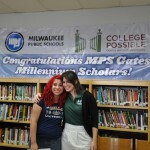 The goal of the Gates Millennium Scholars Program, established in 1999 with a $1 billion grant from the Bill and Melinda Gates Foundation, is to “promote academic excellence and to provide an opportunity for outstanding minority students with significant financial need to reach their highest potential.” The program provides scholars with personal and professional development through leadership programs and academic support throughout their college careers. 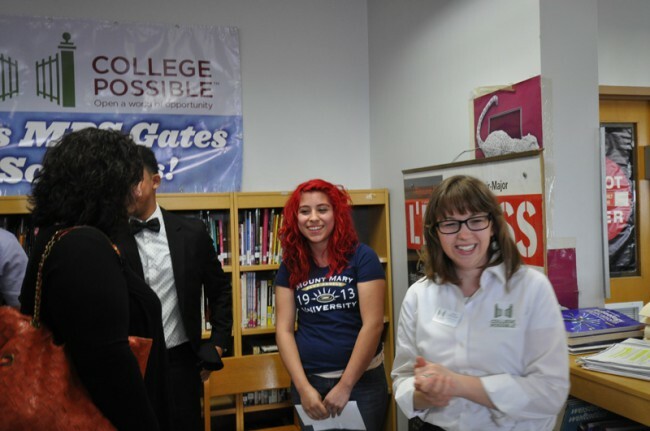 College Possible™ is making college admission and success possible for low-income students through an intensive curriculum of coaching and support. 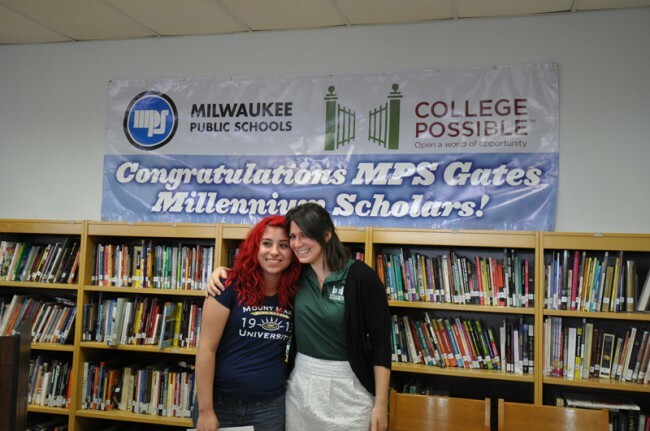 Launched in 2008, College Possible Milwaukee serves more than 2,500 low-income high school and college age students through its college access and completion programs. 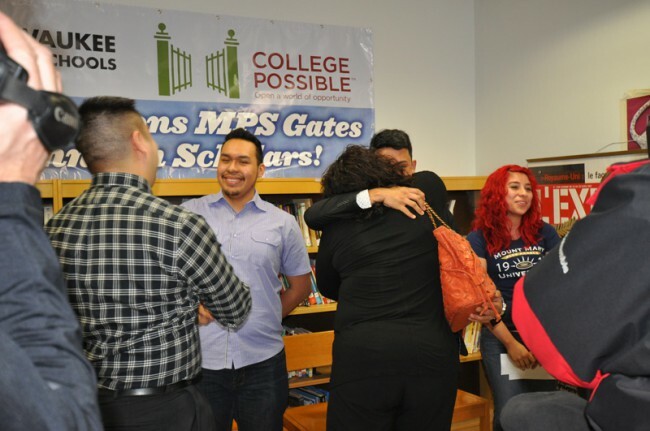 In 2013-14, College Possible’s innovative and award-winning model serves over 15,000 students in Minnesota, Nebraska, Oregon and Wisconsin with plans to reach 20,000 students annually in 10 locations across the country by 2020. 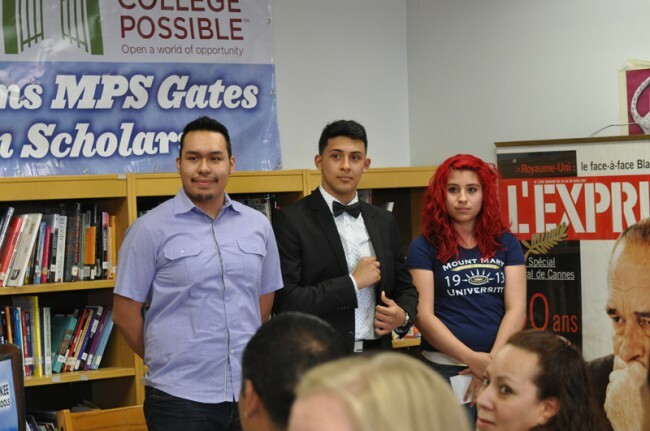 According to a recent Harvard study, the program more than doubles a student’s chances of enrolling in college. 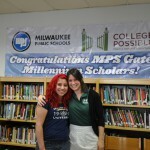 More information at www.CollegePossible.org.